Every year the Student's Representative Council at Glasgow University hosts the Student Teaching Awards. All students across the University were invited, last November, to nominate staff in a variety of categories. The awards provide an opportunity for students to recognise the outstanding work of those members of staff who have gone above and beyond to enhance the student experience. This year Dr Al Ani was nominated for two awards - 'Best Teacher in the College of Medical, Veterinary & Life Sciences' and also for 'Highly Innovative Teaching 2018'. 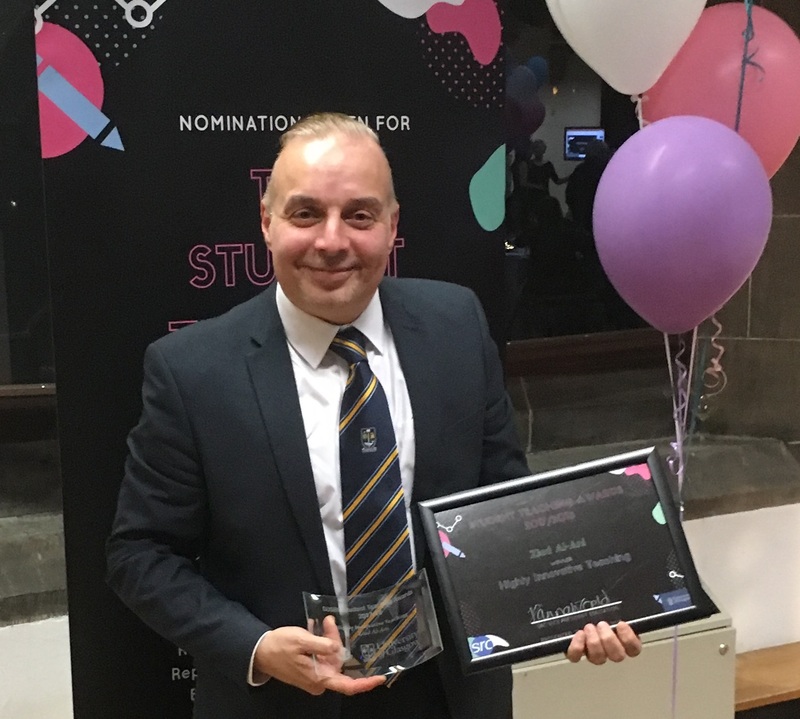 He won the award for highly innovative teaching, particularly in relation to the wide variety of both traditional and digital teaching methods he employs in the subject area of tooth morphology. He was presented with the award at a ceremony in the Kelvin Gallery on 22 March 2018. You can find out more about this story at the University of Glasgow news pages. Scottish Dental Education Online (SDEO) is a collaborative project involving the four university dental schools in Scotland (Aberdeen, Dundee, Edinburgh and Glasgow) and NHS Education for Scotland and is now in its eighth year. More recently The University of the Highlands and Islands (UHI) has joined and we are in close contact with other university departments in Scotland teaching dental therapists. 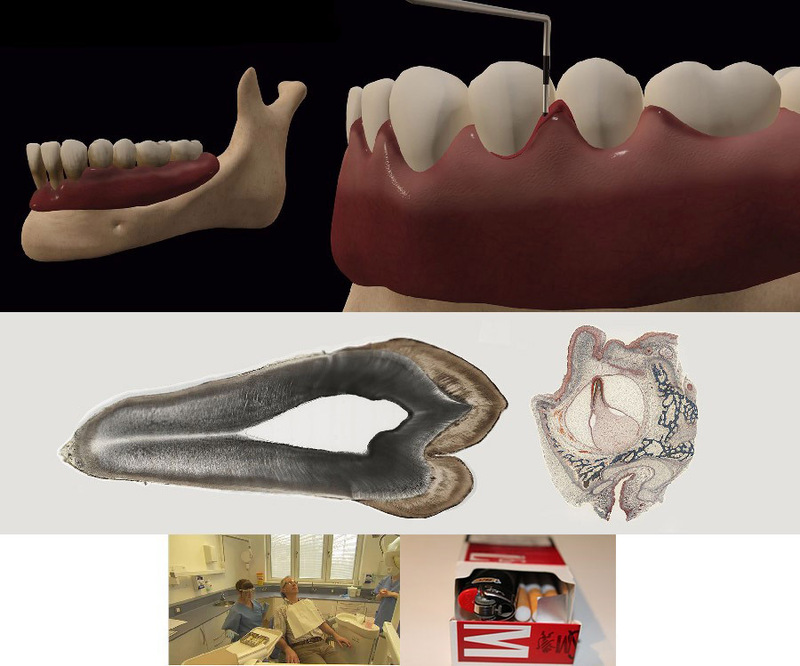 SDEO was established to support the education and training of those delivering dental care in Scotland and more specifically to develop high-quality digital learning resources covering curricular topics which are either difficult to teach or which benefit from the use of technological features such as 2D and 3D animations, video and interactive self-assessments. The focus has been the collaborative development of resources by small teams of experts in each partner university. Led by a senior academic/clinician each team has a professional learning technologist and can draw on online educational expertise and clinical input from across the partnership. Resources go through a two-stage quality assurance process to ensure they are of high quality, accurate, up-to-date, developed to agreed technical standards and specifications and meet ethical and legal requirements. Typically, individual learning resources are highly interactive, stand-alone and designed to occupy students for twenty minutes to one hour of study time. They cover a range of topics such as anatomy and physiology, microbiology and immunology, pathology, oral surgery and oral medicine, orthodontics, patient management and dental materials. 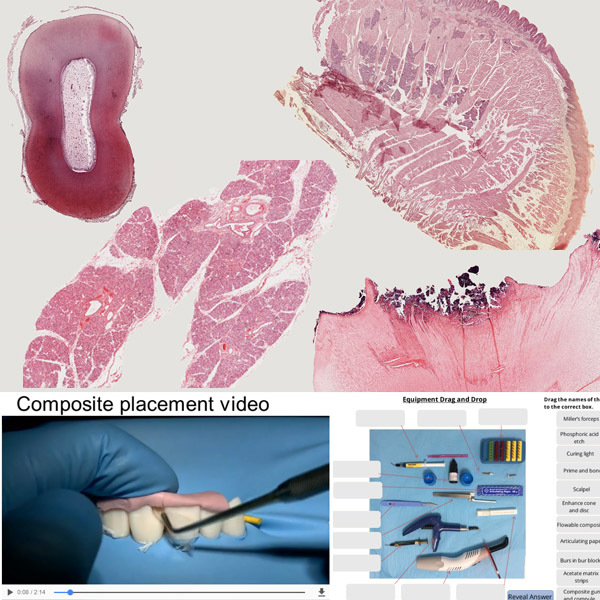 Most are aimed at undergraduates though some, particularly those covering dental techniques are also suitable for postgraduates. Each resource will typically include learning objectives/outcomes, and quizzes for self-assessment. 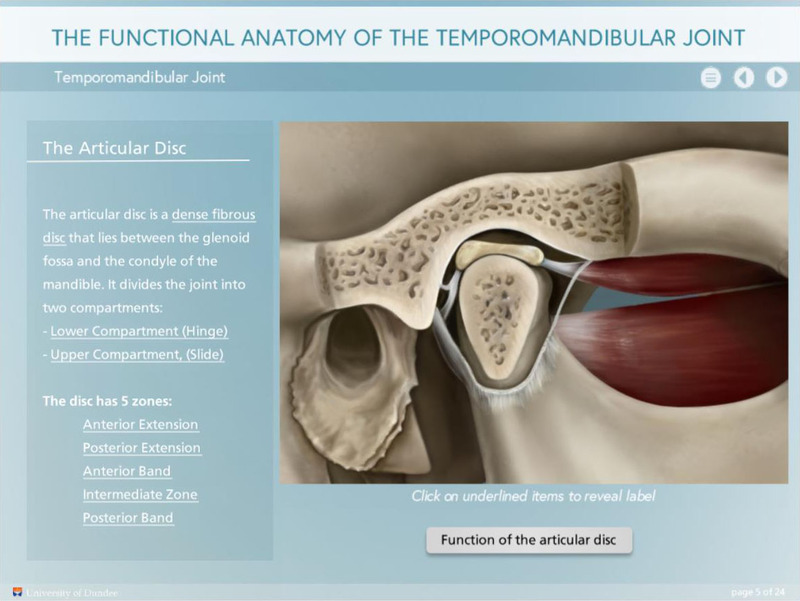 In addition, many of the components of each resource such as videos, images, Flash animations, quizzes and 3-D objects, are also available for teachers to download and incorporate into their own teaching materials. Currently there are over 40 individual learning resources, around 80 videos, over 1500 images and about 70 3-D objects available. Access is free to all members of the Scottish dental team via the SDEO website www.sdeo.ac.uk and via the NES dental portal. Other universities are also encouraged to make use of the resources and access can be arranged on request. 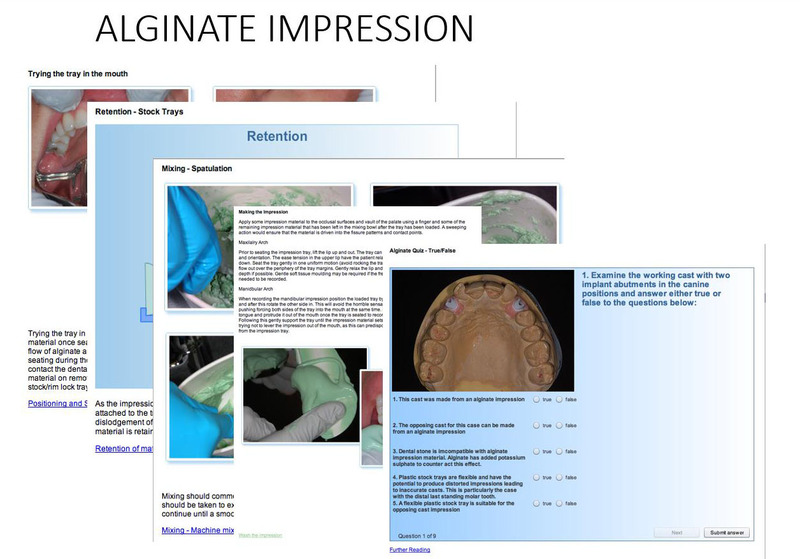 Glasgow Dental Hospital and School has provided the opportunity for final year dental students to develop their own interactive online learning resources as part of their studies. In 2015 two groups of students chose to develop learning resources as part of their Special Study Module (SSM). Students were encouraged to choose topics they found difficult and worked closely with academic and learning-technology staff to produce resources that would be shared with other students via the School's LMS and available 24/7. The two topics chosen were 'Endodontics - an overview' and 'Restoring Endodontically Treated Teeth by Fibre Post'. Developing the resources involved creating a storyboard and script, filming and sound recording and editing. This first draft was then quality assured by subject experts before final editing. Eighty nine 3rd year undergraduate students then evaluated the usefulness of the resources by completing a questionnaire. In general, student responses to the evaluation questionnaire were positive: 65% agreed that the resources improved their understanding of the topics; 94% found that learning online was more enjoyable than traditional methods of teaching. 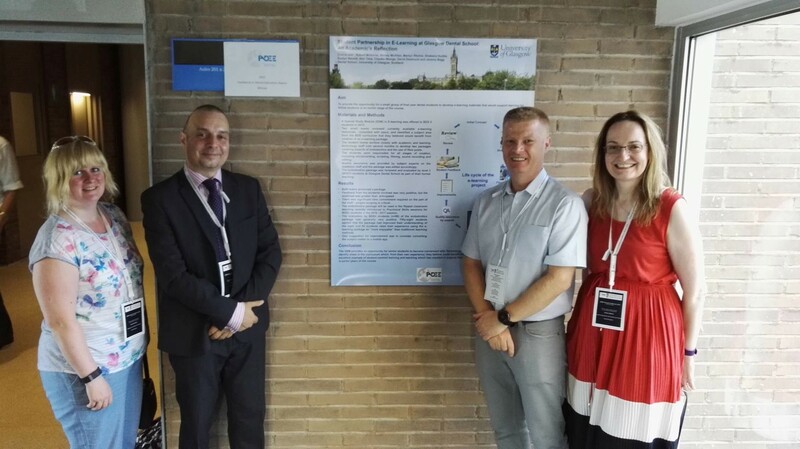 A poster describing this work was presented at the ADEE Annual Conference in Barcelona, Spain 24-26 August 2016 and was warmly received by participants. 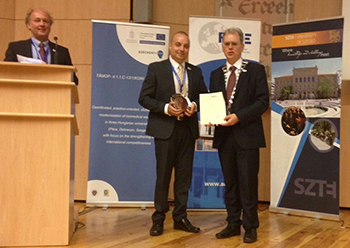 Congratulations to Dr Ziad Al-Ani on collecting the "Excellence in Dental Education Award" at this year's ADEE meeting. 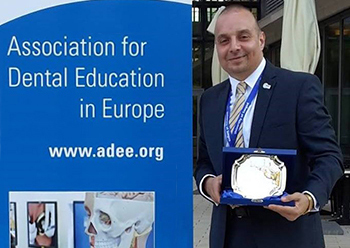 The "Excellence in Dental Education Award" recognises the varied contribution to teaching and learning that educators can make at different stages of their career. It acknowledges and rewards dental educators by independent evaluation and recognition of the excellence of their educational contribution.